RV Wash & Wax 32 oz. 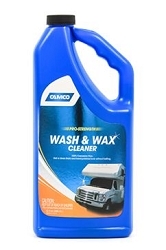 Camco’s professional-strength RV care products are powerful, dependable cleaners that save you money and time. They dramatically reduce cleaning time and leave a showroom finish every time.